Brighten the appearance of skin, smooth and soothe, hydrate and set with this 4pc Get This Party Started ultimate party prep kit. What it is: A 4-piece, pre-party Limited-Edition 'Sweet 16' Party Prep Collection for luminous, glowing skin and stay-put makeup application — Get This Party Started! What it does: For a big night out, it’s all about the prep! 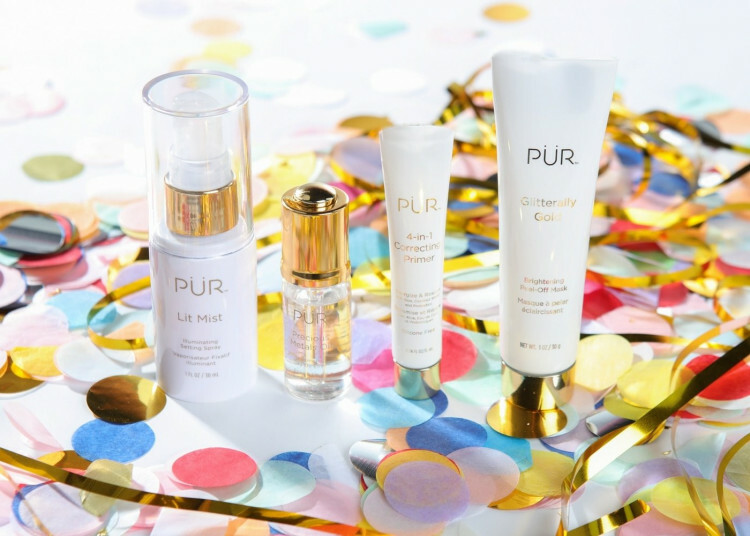 Get This Party Started and speed up your skin-glowing, party prep complexion skincare routine with this Limited-Edition 'Sweet 16' Party Prep Collection—an energizing, 4-piece perfect party kit celebrating PÜR’s Sweet 16 birthday! Brighten the appearance of skin in just 16 minutes with the Gliterally Gold gel peel-off face mask. Infused with licorice extract and Vitamin C, this gel face mask helps to purify skin for a softer, healthier-looking complexion. Smooth and soothe your skin for flawless makeup application with our restoring 4-in-1 Correcting Primer that’s perfect for all skin tones. Massage skin with a few drops of hydra-charged Precious Metals Oil, a Shimmering Dry Oil Elixir that’s infused with metallic gold, rose gold and silver flakes for long-lasting face and body hydration. Once makeup has been applied, use Lit Mist, an Illuminating Setting Spray for a light shimmer and effortless radiance that also helps protect skin against environmental stressors. Each beauty bucket list product is formulated with good-for-your-skin ingredients, which will instantly improve the appearance of skin long after the party is over! Generously apply Gliterally Gold gel peel-off mask to clean, dry skin—avoiding the eye area, lips, and hairline. Leave mask on for 16 minutes, or until completely dry. Starting at the outer edges, gently peel off mask in a downward motion. Rinse off any residue with warm water and apply your favorite serums or moisturizers. Use 2-3 times a week. Massage 2-3 drops of Precious Metals Oil into the face, neck and décolletage before makeup application using your fingertips. 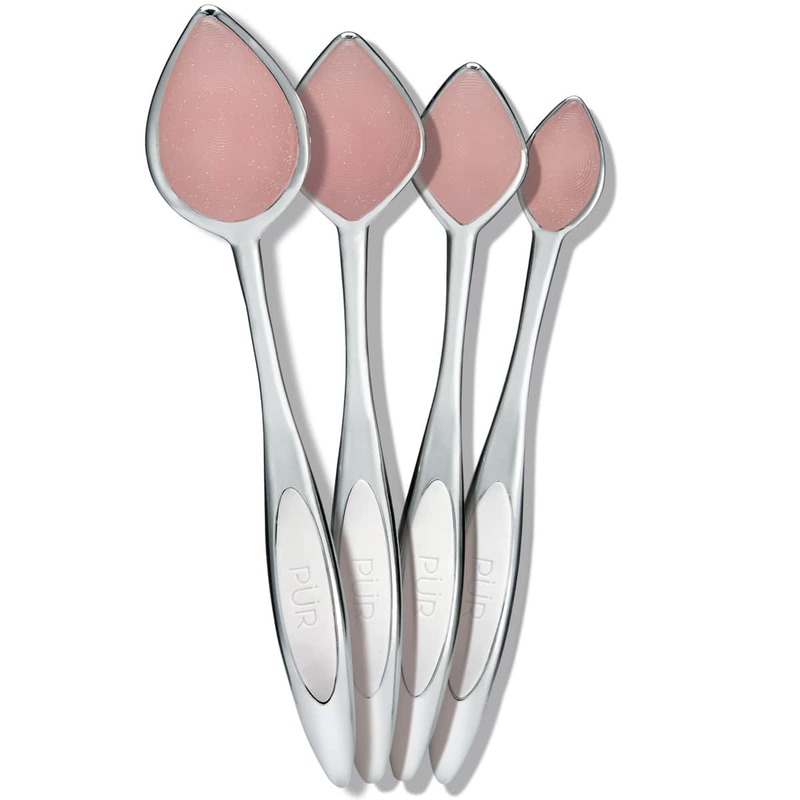 Use your fingers or Pillow Blend Silicone Applicators to apply 4-in-1 Correcting Primer. Following makeup application, gently spray face with Lit Mist. With eyes closed, hold the Lit Mist 6-8 inches away from the face and evenly spray face with 2-3 pumps. Use the Contour Blending Sponge to mix Precious Metals Oils and Bare It All™ 4-in-1 Skin-Perfecting Foundation for a lit-within-radiant glow. Loved the way it made my skin look after I did step 1-3 and applied light liquid concealer and dusted on powder foundation. I found that it took much less makeup application after the use of this product. I also liked how some of the gold glitter stuck to my skin after the removal and rising off of the peel-off mask because the flakes/glitter showed a bit through the light makeup giving an extra glow. Loved it! Everything was wonderful! It Makes my skin glow! I just wish the bottles had been bigger, I’m almost out. I gave my SIL the face stuff that I purchased and she loves it. I kept the mascara and am in love!!! Excellent skin care for 50's oily, breakout prone skin! I love these brush set I us it almost everyday mainly when applying foundation. Leaves my skin looking flawless. All you need for the whole face!